The Supreme Court of Canada is considering taking its show on the road and holding hearings outside of Ottawa for the first time since it was created in 1875, as the court seeks to make itself better understood to the country. 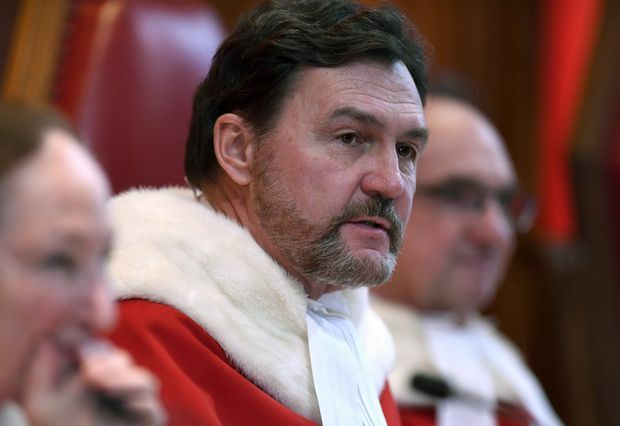 Chief Justice Richard Wagner has publicly expressed concerns that people in many countries outside of Canada are losing their respect for democratic institutions and values. The Supreme Court, he says, must not take for granted the respect of Canadians, especially as the court’s coverage by the established news media shrinks and strong views about the justice system are shared on social media. “The idea is to be close to the people,” he explained in an interview this month, on why the court is looking at sitting outside of Ottawa for “one or two” days of hearings. If it proves useful, the court would make it an annual event, he said. Supreme Court of Canada Chief Justice Richard Wagner speaks during the welcoming ceremony for Judge Sheilah Martin in Ottawa in March. If the idea goes ahead, Winnipeg would be the first location because it will be host to an annual conference of Canadian appeal-court judges in September, 2019, and the Supreme Court is holding its annual “retreat” there so it can meet the appeal-court judges. Chief Justice Wagner cited the top courts of British Columbia and Quebec, which have already begun visiting small communities to hold hearings. He also pointed to Britain’s Supreme Court, which has sat outside of London twice – in Belfast in April and in Edinburgh last June. Next year, it hopes to sit in Wales. In 2014, B.C.’s appeal court announced that for cases originating in Kamloops, Kelowna or Salmon Arm, its hearings would be held in Kelowna or Kamloops, unless those involved in the case requested a Vancouver hearing. It also said it would go to Prince George if asked. Last year, Quebec’s Court of Appeal held hearings in Rivière-du-Loup. The year before, it sat in Trois-Rivières. The court works with the local legal community to pick two cases – a criminal case and one other – that it thinks the public will find interesting. Before the judges sit, a judge who is not part of the hearing explains the case and the role of an appeal court to the audience in the courtroom. The judges also take questions afterward about the process and do media interviews. Both she and Chief Justice Bauman said the judges benefit from the experience, too.